You can now update international Samsung Galaxy S4 variant i9500 to the latest Android 4.4.2 KitKat using the Carbon custom firmware. This is an unofficial build of CarbonROM and you can read more about it from this XDA thread here. Here is how to flash Carbon Android 4.4.2 on Galaxy S4 i9500. Note: this guide is only targeted at the international variant of Samsung Galaxy S4, i9500; please to not try it on other variants. Download and install USB drivers for Samsung Galaxy S4 in your computer. Your Galaxy S4 must be installed with ClockworkMod or TWRP recovery tool. Enable USB debugging option: go to Menu > Settings > More > About; and scroll down to tap the the build number 7 times. This will unlock Developer options. From Developer Options enable USB Debugging. Ensure that your Samsung Galaxy S4 carries more than 80% of charge. 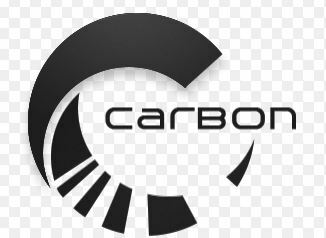 Files required: download unofficial Carbon Android 4.4.2 custom ROM from this link. Also, install GApps package on your SGS4 I9500 from here. Connect Your Samsung Galaxy S4 3 using a USB cable to your computer. Copy the Carbon custom firmware zip file to your device’s SD card and then disconnect the USB cord. Power off your Samsung Galaxy S4 and boot it into recovery mode. Perform Nandroid backup of your current OS: Backup > backup and restore on ClockworkMod recovery. After Nandroid, perform factory reset tasks: from CWM recovery menu, select wipe data / factory reset and confirm the process. Now from menu, select install zip from sdcard followed by choose zip from sdcard. Locate the Carbon Android 4.4.2 for Galaxy S4 i9500. Confirm the flashing process. When completed, repeat the above process for installing GApps package. Once done, go back to main recovery menu and reboot your Samsung Galaxy S4 into the new Carbon Android 4.4.2 custom ROM. Ta da! Your Samsung Galaxy S4 is now proudly running on the latest Android 4.4.2 KitKat based Carbon custom firmware!